California is a foodie paradise. 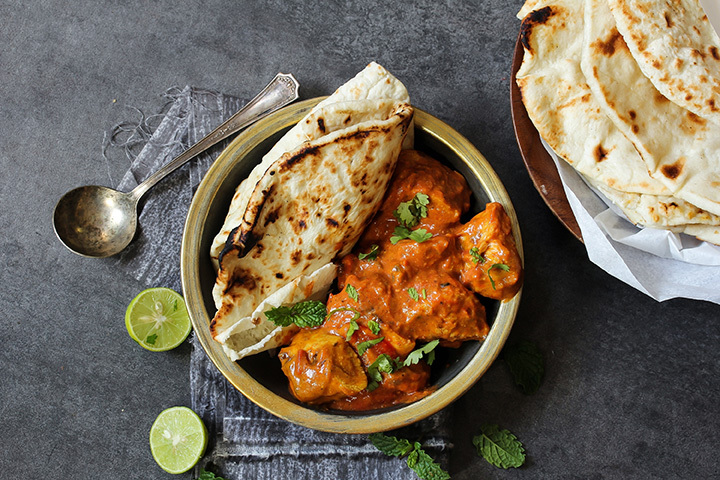 With such an eclectic array of cultures that call the state home, it should come as no surprise then that California boasts some incredible Indian cuisine. From Sunnyvale to Artesia’s Little India, here are the best Indian food restaurants in California. The Bombay Frankie Company has gained notoriety for its inauspicious location within a gas station. But whether or not you need to fill up, it’s worth stopping in for a frankie. A sort of Indian-style burrito, frankies are filled with flavor and perfect for grabbing on the go. You’ll also find bowls and other quick eats on the menu. Madras Café is where Indian expats head when they find themselves in the Silicon Valley area. The café specializes in vegetarian South Indian cuisine and you’ll find that there is a lot of variety in terms of dosas, daily specials, favorite dishes and other classic and less-known dishes. Badmaash is a family venture that has earned rave reviews for the ability to take familiar Indian flavors and merge them with modern trend. A hipster style eatery, Badmaash offers both new versions of Indian cuisine including a lamb burger as well as traditional dishes like curries and saag paneer. If you find yourself in Artesia’s Little India, then head to Surati Farsan Mart. It is well loved by locals as well as worth a drive to stand in the stand in line at the deli-style counter. The vegetarian eatery has some of the best dosas, snacks and other bites that you can find. Bombay Palace looks as elegant as it’s tony neighborhood surroundings, but the lunch buffet is a good deal for the area—although a little pricier than some of the other offerings you’ll find in other parts of the city. A long-time local favorite, you can gawk at the ambience as you dig into a flavorful dish. Addi’s Tandoor has long been a favorite in the beach city with not only locals but also local food critics. The restaurant blends casual beach atmosphere with elegance and a menu that is filled with delicious items for eating in or taking out, including beef and vegan selections. August 1 Five is an elegant, modern Indian restaurant that is fairly new but already receiving accolades as one of the best restaurants in the food-forward city. The menu spans the various regions of Indian and draws inspiration from home cooks and street vendors as well as haute cuisine techniques. Try brunch if you’re looking for something different than the usual. Dabba boasts that it is a “ethnic confusion” which brings together a variety of different cultures and cuisines in each dish. Open for breakfast and lunch, ordering is “Chipotle” style, allowing you to customize your meal of a bowl, burrito, or taco to be washed down with a lassi or chai beverage. Chaat Kafe is a fast casual Indian joint that features counter service and grab your own silverware. Located in a shopping center just outside the city, Chaat Kafe is close enough to the nearby freeway that it is a perfect stop on your way or a welcome respite from running errands. Pair a well-priced lunch special with a Pani Puri for a perfect meal. Head to the open patio at Sundara for an outdoor dining experience. Twinkling lights somehow make the ability to pair craft beer with flavorful dishes even more enticing. The curated menu offers welcome explanations of less familiar dishes and the small space makes for a cozy meal.